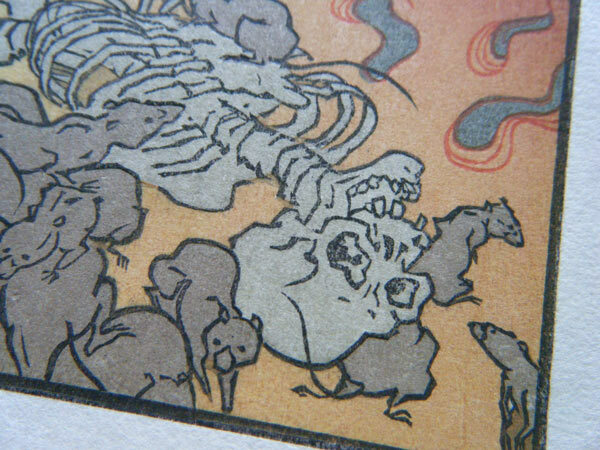 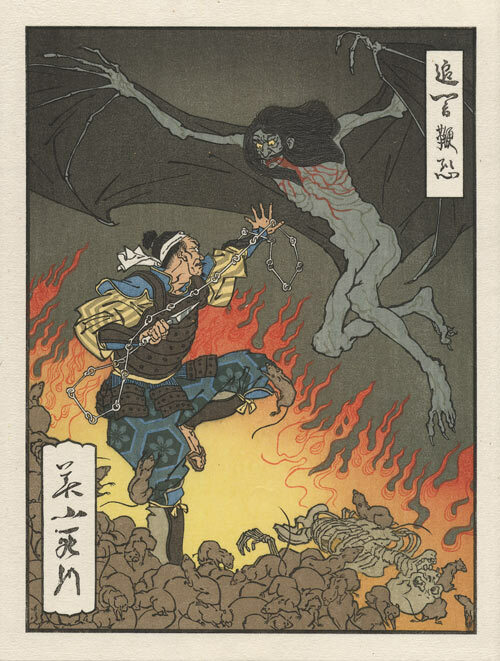 Cartouche: "Pursuer of Darkness - Scourge of Horrors"
Comments from Jed: "The main challenge for me with this design was to capture a super-natural and macabre feeling, and there is such a deep tradition of depicting the macabre in ukiyoe already, that I didn't have to transpose things all that much. 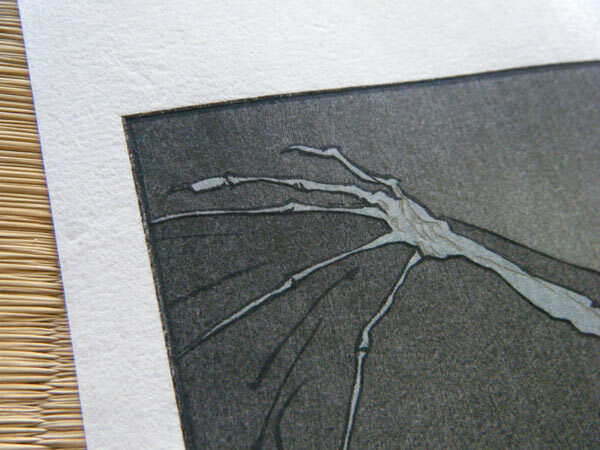 There are many old prints full of such things as 'the walking dead' ..."
Comments from Dave: "This one is structurally similar to the 'Infestation' print, in that it has a deep and rich background that requires multiple overlays. Unlike that design though, this one has a large area of bright flame, which really helps make the background look even deeper, helping us in our job to create richness. 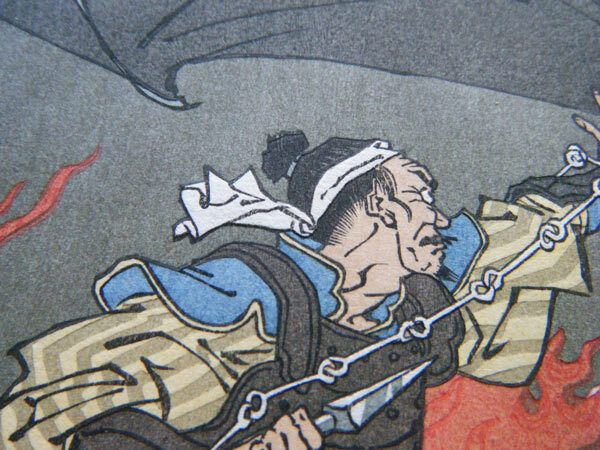 It's also an good example of a very interesting point about the Japanese ukiyo-e, that no matter how 'ugly' the things are that are being portrayed, the overall result can still be something quite beautiful!"